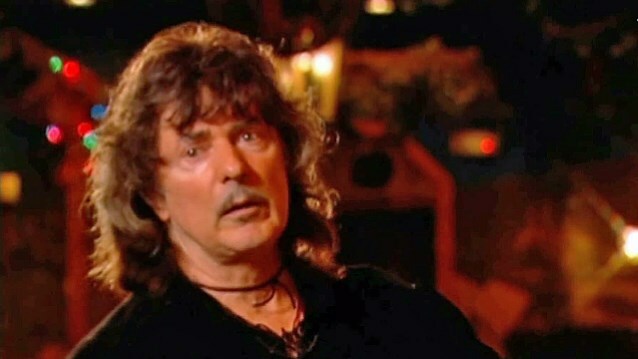 Blackmore confirmed that a festival show in France will likely be part of the small run of dates he will play during his brief return to rock, but added: "I think that Joe [Lynn Turner] will not be part of the adventure, and he doesn't know it yet. He does his thing, I like him, and I made good albums and good songs with him, like 'Street Of Dreams'. But I'm thinking about doing a mixture in the band, with famous people and not so famous ones. That's my state of mind at the moment, and you're the first person I talk to about it." After the Le Parisien journalist thanked Blackmore for giving him the "scoop," Ritchie said: "Yes, there should be about three or four people who might be interested."